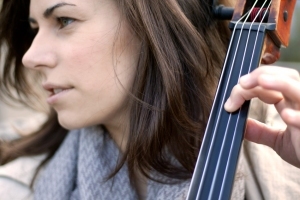 Cellist Caitlin Sullivan enjoys a versatile career as a chamber, orchestral and contemporary music performer based in New York City. She regularly appears with ensembles ranging from the Knights to the New York Philharmonic, in venues from Lincoln Center to (Le) Poisson Rouge. Ms. Sullivan is also a member of the IRIS Orchestra in Memphis, TN, and contemporary music group Ensemble Signal. As a graduate of Carnegie Hall’s fellowship program, The Academy, Ms. Sullivan has participated in numerous chamber music and teaching residencies nationally and abroad, including her role as residency project leader in South Africa in summer 2011. Ms. Sullivan received her Bachelor’s degree from the Eastman School of Music and a Master’s degree from the Juilliard School.